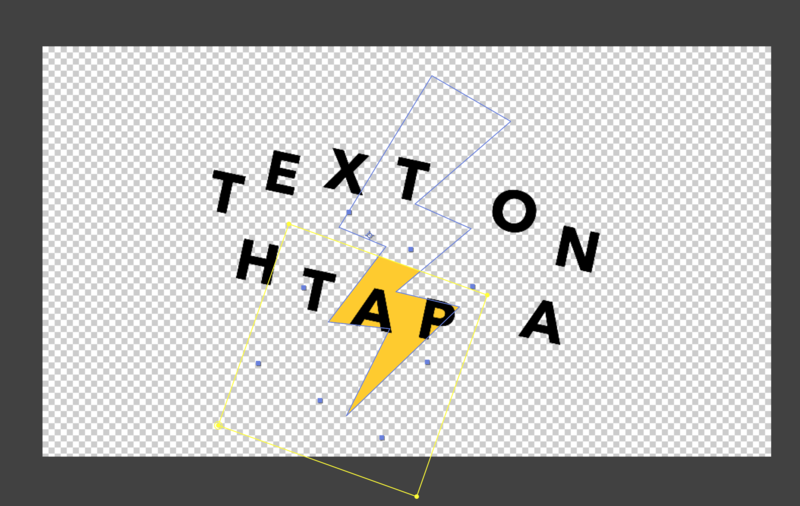 As Cai (who answered my initial question) suggested, this is done by creating an oval-shaped masked for the text layer, turning off the Perpendicular To Path option under Path Options and using the First/Last Margin value to animate the rotation. 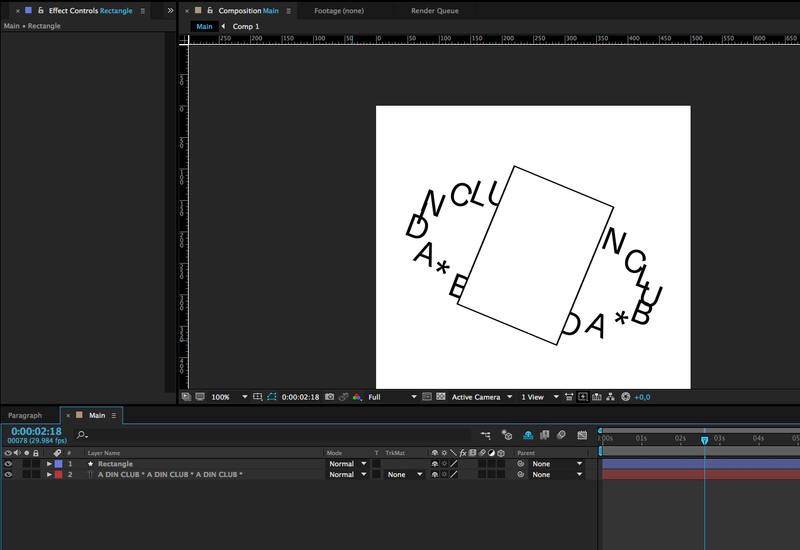 Now, I would like to place another shape inside the rotating text, that is, let the text rotate around it. 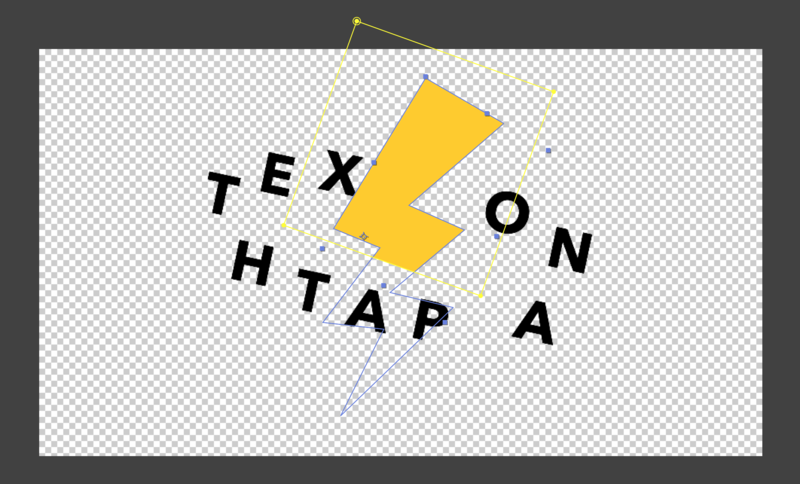 So far, I don't see any way to do so, as the shape can either sit on top or underneath the text layer. 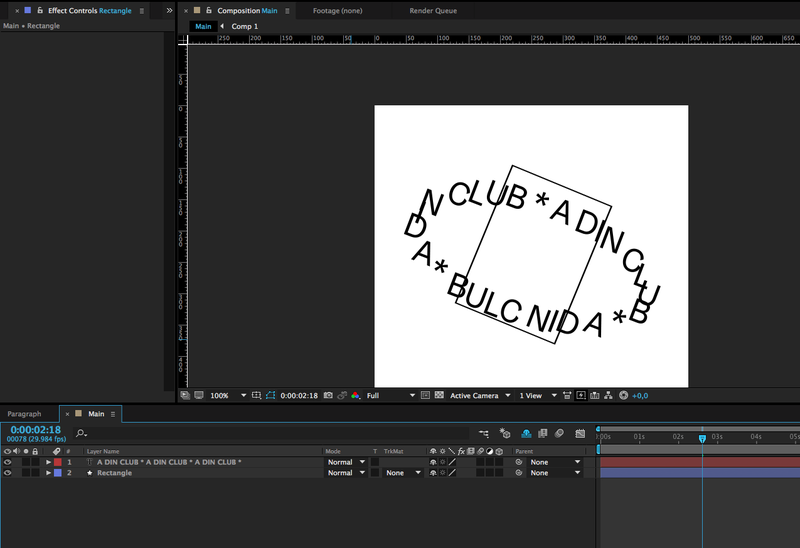 Is there any way (possibly by masking the text when it moves "behind" the shape which is supposed to like rotating around?) to create this animation properly in After Effects? Not the answer you're looking for? 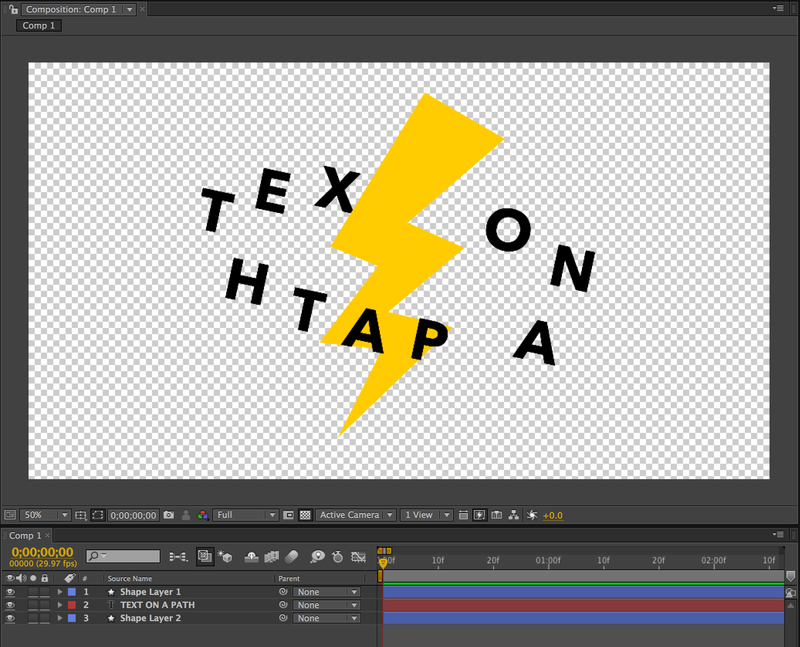 Browse other questions tagged typography animation adobe-after-effects or ask your own question. Photoshop create a timeline strip from layers? 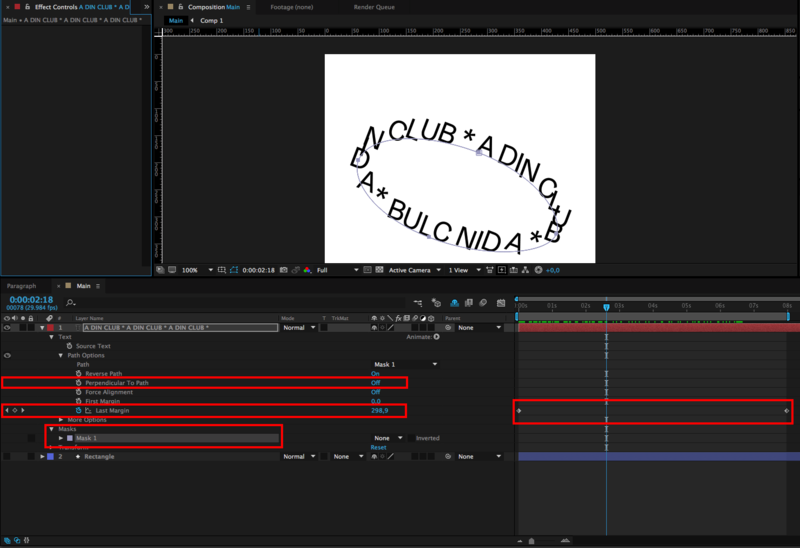 Use CSS cubic-bezier for keyframes in After Effects?